"A fully loaded ZR1, equipped with a $10,000 optional interior package and $2,000 chrome wheels, is priced at $117,000. The options package includes power-adjustable, heated and leather-trimmed sport seats with the ZR1 logo, side airbags, Bose premium audio system, navigation system, Bluetooth, power telescoping steering column and a custom leather-wrapped interior. Chevrolet said the 638-hp ZR1 with the 6.2-liter supercharged V8 sprints from zero to 60 mph in 3.4 seconds and confirmed the supercar has a top speed of 205 mph, "making it the fastest Corvette ever produced." The 205 mph top speed was no secret, since Chevrolet had been touting that particular number for weeks. 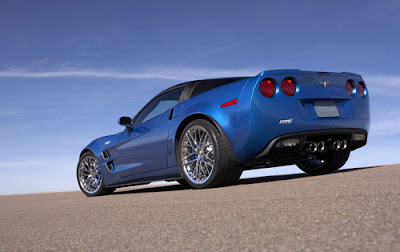 It noted that the ZR1's 0-60-mph performance is 0.3 second quicker than the Corvette Z06." AThe Nurburgring time is.....what ? Not posted yet. Who wants to guess what the GT-R Spec V will come in at ? Just enough to undercut the ZR1 is my guess. Just enough. Well I dont think it will be anywhere near to GTR stock or even the V-spec version. Just because of the big engine and hence that big power, and u wish to be able to run the ring with less than 7:29? its not impossible. unless its as good as the Zonda.